Boyd, Chris. 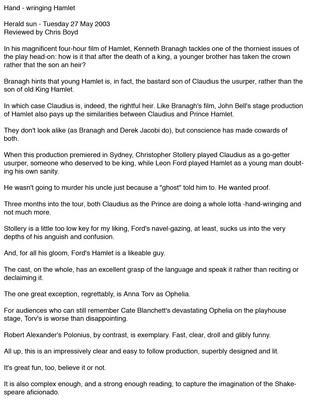 "Hand-wringing Hamlet." Herald Sun 27 May 2003.